For a staff that prides itself on using social networks, Penn State offensive coordinator John Donovan has tweeted four times since taking the job. That total is far less than any of his fellow staff members. In many ways it is a fitting representation of how much work Donovan has on his plate. Forget 140 characters, Donovan has to worry about getting 11 to work. It's easy to blame Donovan for the offense's struggles. They haven't exactly blown teams out of the water and they've very rarely moved the ball on a consistent basis. So it's natural to blame the guy calling the plays -- the guy who spends his week trying to figure out how to make things better. However, the real question isn't whether Donovan is the right man for the job. The question is, could anyone else could have done a substantially better job than he has? Penn State has been on a downward trend offensively ever since the sanction era began. In 2012 Penn State averaged 77.5 plays a game. In 2013 that number dropped to 75.8. Now in 2014 the Nittany Lions average 74 plays per game. That's nearly -- in theory -- a series worth of plays less than they were getting only two years ago. Looking at Big Ten play only, in 2012 Penn State converted 55 of 133 third downs. That 41% clip is the highest of the next three years. In 2013 Penn State would convert only 48 of 120 third downs a 40% frequency that drops down to 35% if you take away a 10-for-12 success rate against a horrible Purdue team. Now in 2014 Penn State had the biggest year-to-year change with 36 of 109 third downs through 9 games, a mark that sits at 33%. That's a change in conversion success by nearly 10% over the span of three seasons. It could, of course, increase or decrease from there. Play selection? Penn State actually ran the ball more than it passed for two consecutive seasons under Bill O'Brien. In 2012 the Nittany Lions ran the ball 11 more times than they passed and in 2013 that margin increased to 92 more runs than passes. But despite that trend, Donovan has done his best to use Penn State's biggest weapon in Christian Hackenberg by throwing the ball 360 times this season, 54 more times than he has called for a run. Ultimately stats don't prove anything concrete, but they do provide context for half of the argument. Donovan hasn't been perfect this season, but there is also little doubt that he is calling plays with both hands tied behind his back. No matter how politically correct coaches try to answer the questions, Penn State's offensive line isn't very good thanks to injury, position changes and general inexperience. 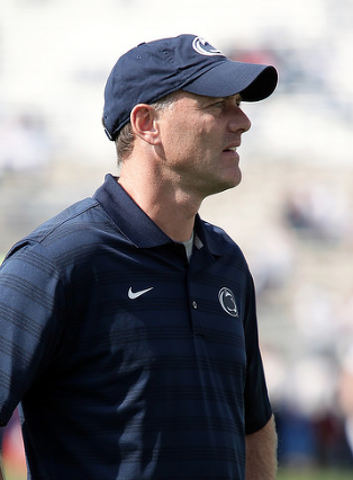 Where the 2012 squad could have practically coached itself, the 2014 edition of Penn State football is the second youngest team in college football. That's a big difference in a short amount of time. If anything, the 2012 and 2013 teams only delayed the inevitable. You can critique Donovan for being predictable and probably a handful of regrettable play calls, but the fact of the matter is that a few calls won't change the underlying reality that Penn State doesn't have a lot of options. The reality is that Penn State might only have mastered a handful of calls this team can execute. It's not as though fans leave the game feeling like Penn State would have won if "They had only done that other thing they're really good at." Penn State isn't losing because of John Donovan, even if he hasn't always helped their cause. The Nittany Lions can't run the ball. Receivers have a hard time getting open consistently. The offensive line can't pass protect on a regular basis and Christian Hackenberg can't and shouldn't be asked to transcend all of that for 60 minutes every Saturday. Donovan isn't using the wildcat because he thinks it will be a wildly successful play every single time. He calls it because it's something else defenses have to think about against an offense that is good at going 3-and-out and completing screen passes. As the law of conservation of energy states, "Energy can be neither created nor destroyed, but can change form," Donovan can't make something out of nothing, but he can change what it looks like. "Well, "Vanderbilt's offense wasn't very good," you're probably thinking. When Donovan was at Vanderbilt the job he had to do there wasn't much different than what he has to deal with at Penn State. Try building a program in the best conference in America. Don't think that matters? Ask Penn State men's basketball coach Pat Chambers how long it takes to close the talent gap between the basement and the nation's elite. Perfect play calls don't mean anything if the other team is just bigger, faster, stronger and better. It's true that Penn State hasn't improved noticeably since the bulk of the Big Ten schedule began, but that probably has far more to do with the fact that the odds and the obstacles haven't changed either. Penn State has to play a perfect game to win, it has to stay healthy to have a chance and it's playing against teams with nearly twice as many players and twice as much depth and players who have twice as much experience. Simply put, if Penn State is playing this season with its legs cut out from underneath it those legs aren't growing back overnight. It's silly to assume that if there was a way to make up for their shortcomings that a coaching staff praised for the ability to do just that has simply overlooked the answer. Maybe when it's all said and done John Donovan really doesn't fit the bill and down the road a change is made. But the 2014 season was destined to be a data point on the bottom of a curve. Penn State was going to get worse with or without John Donovan at the helm. So you can fire Donovan, but its hard to say that would actually change anything. Penn State, State College and Centre County are making news all over the web. 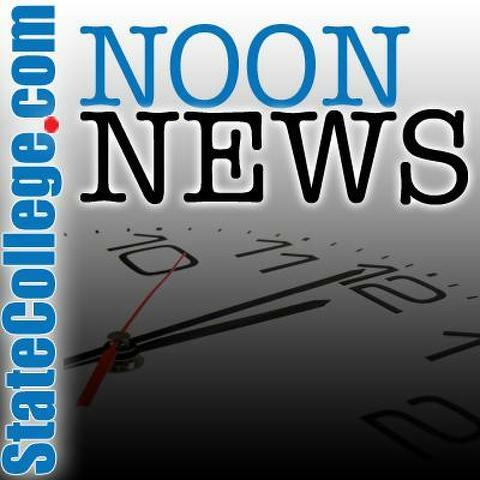 Every weekday at noon we post links to some of the most noteworthy stories.